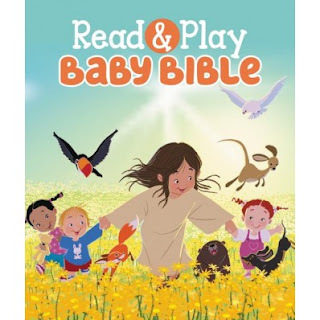 Bible Review: "Read & Play Baby Bible"
My children are no longer babies however I really enjoyed this and very happy to that I got this book for free from Zondervan for an exchange of an honest review. What I really liked about this book is the little things it tells you to do to engage your baby. I actually did this with my 5 and 9 year old and they were giggling non stop because of the tickles and me calling them my baby. I am very excited to give this book to someone who is expecting! I know they will love it! This Bible also had many more stories within it compared to other baby board books. It sure is a book that will make a great gift to any parent or new baby!